Here at movers.best we understand that what it all comes down to is pricing. That is why we strive to provide for you the best quotes that represent everything you will be paying over the course of hiring our services. If you are interested in a free, quick quote, then please fill out the corresponding form below. Understand that this is a no hassle quote designed to give you an idea of what our services are. Additional information on what else is included with each service can be found below as well. If you have any questions regarding the moving prices we list or you have a special need not listed below, then please feel free to contact us and we will get back to you as soon as we can. The best-trusted moving company, working in Orange County area – the movers.best Movers company – is popular not only with its perfect quality services and the staff of experienced and friendly movers. We offer our clients the best moving prices in the region and in California. Our moving prices policy is transparent. It means each one can open our site and be acquainted with the rates we offer to any move. As we deal with residential and commercial moves mostly, we rate the work of the movers and the truck rent hourly. The movers.best Movers works 365 days a year, and we do not have any days off. Certainly, we do rate the work of movers who help our clients to move on Saturdays and Sundays higher. If you compare moving prices on Mondays – Fridays and moving prices of Saturdays – Sundays, you will see that the days off work, naturally, is rated higher. However, we are sure: the moving prices we offer to our clients are so low, that even the smallest rising of price – up to 26% will not be sufficient. Please, look through the services and prices we offer. First, consider the fact, that we suggest the services of our movers and hiring a truck or simply labor services. 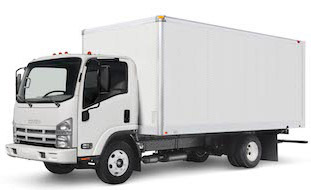 Many of our customers own trucks and vans, so that they can hire only movers. In this case, our moving prices are very small. The most popular service, which our clients pick, is hiring two movers with no truck. The moving prices per one hour in this case are $55. Please, pay attention: the minimum time you can hire our professional movers, is 3 hours. Thus, the calculation here is very simple: the minimum you pay for the company (movers only) is $155. Filling in the moving quote online or coming to our office to do it with the help of our representative, you will get the idea, which service you do really need, clearly. In case you move on a working day from a studio to another studio and have your own transport, you should not worry. The above-mentioned calculations are exactly your case. It means, on the day of appointment, two movers-professionals will come to your home and do everything, what they are supposed to do. They will pack your belongings and wrap the furniture, disassemble the required units and load your own truck. Coming to the new home, they will unload your truck or van and arrange the stuff in the rooms, as you want it. Assembling the units, which were disassembled, is also their work. We do recommend you to fill in the moving quote online beforehand. It will help you to understand how much work is required. You will learn the approximate moving prices for your move as well. Let us take the move, when you relocate to a new big house in another city of the Orange County. Let us say, you want to move on Sunday (or Saturday) and you move from a 5-bedroom house to the same one, or a 4-bedroom house. Certainly, in this case the moving prices will grow sufficiently. You should realize that you might need three or four men in two trucks. One van will not physically fit in your all belongings. The maximum the movers.best Movers ask in this case will be equal $190 per hour. If you learn the volume of work and services we offer for this money, you will agree: these moving prices are very low. So that, $190 per hour is paid for 4 people, working for you. They will load 2 trucks with your things, wrapped professionally beforehand. They will use eight wardrobe boxes: no one thing will be damaged. All disassembled furniture units will be wrapped into the thick blankets, and fixed in trucks with tape. Using professional tools and equipment also comes into these services. We realize that the majority of Americans own their trucks. Thus, the most popular moving prices (only for labor of our movers) are $55 (for 2 persons) and $70 (for 3 persons) on a working day. The days off you’ll pay for labor only: $75 (2 men) and $95 (3 men). If you need to relocate far, your moving prices will be calculated in the company office and fixed. The services, which are provided by our movers and loaders are the same professional, when they deal with a long distance move. Be sure: it does not matter which package you choose. The movers.best Movers stuff will do the work the best way, which is safe and fast as usual.